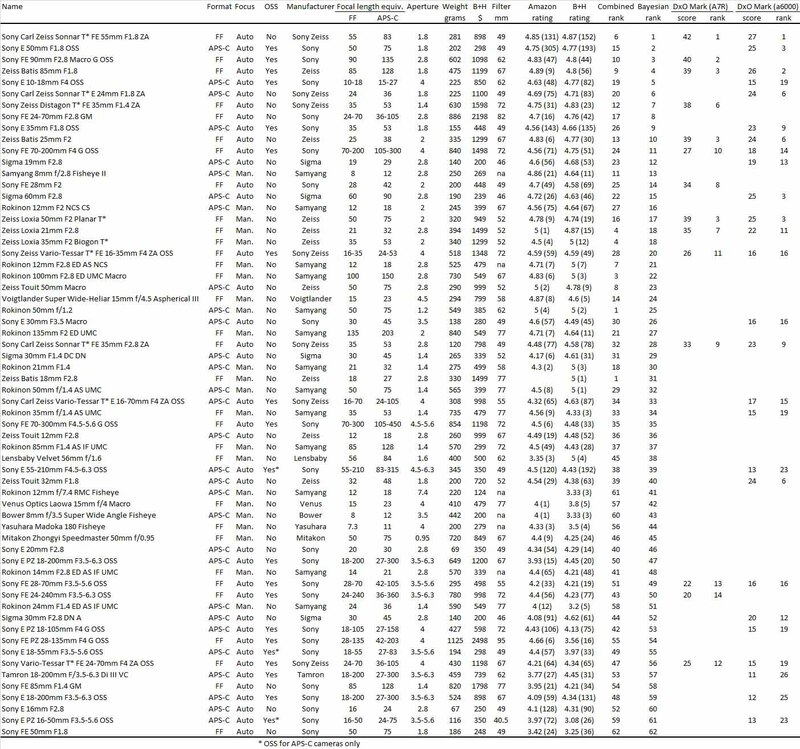 I came across this list of E/FE lens when looking to see what is available natively for Sony cameras. John over at DPReview created the original list and was kind enough to grant us permission to share it on SonyAddict. I hope that he will keep us up to date in the future and that this list helps readers. This entry was posted in 3rd Party Lens, Sony lenses. Bookmark the permalink. Trackbacks are closed, but you can post a comment.